Why did you join Google+? Was it because it was a new social media platform to add to your marketing plan, or just because everyone else was encouraging businesses to join? After all, it’s a social network with the “Google” name on it. That has to carry some weight, right? Whatever your reasons for signing up for a Google+ business account, there is no doubt that it continues to grow into one of the most valuable social media channels for brands today. It can be very beneficial for your brand in helping it reach a wider audience and turn you into an authority in your niche. Not everyone knows how to get the most out of their Google+ account, though. You’ve filled out your profile, created a great cover photo, made a few status updates… but what now? Are you getting noticed? Are you reaching your target audience? Are you seeing results? If you are still trying to figure out the best way to use Google+ for your brand, then there are still plenty of things to learn about increasing your visibility. When you increase your visibility, you broaden your reach and attract more followers from your target audience, and ultimately letting people see that you are an expert in your field. Posting is an important part of staying active on social media. On Google+, it might not be enough to simply add new content to your own profile, especially if you only have a handful of followers. Join some communities that are likely to have a large number of members who could fit with your target audience. Adding new posts to a community page could help you reach an audience of 5,000 instead of limiting yourself to reaching only your 100 followers. Just remember to post valuable content so you don’t come across as a spammer. If you want people to add you to their circles, it’s important to start a conversation with them. This is easily done by leaving comments on their profiles and posts. As the relationship builds, you will be added to new circles. Content is valuable on social media, but sometimes a plain written post or a link to your blog just isn’t enough to capture attention. Rethink how you add content to your profile. Images, for example, can be very powerful. Instead of just posting a link to your blog, post a great image that will link back to your blog. You could see a lot more traffic with a good picture. On Google+, you will find a feed of popular posts called “What’s Hot.” Here you can find a lot of what is trending on the social network: articles, photos, videos, etc. You can leave your own comments on these trending posts, giving you long-term reach as the posts continue to gain exposure. If you share someone else’s content or use one of his or her links in your posts, make sure you let the person know. By including the person’s name in your posts and comments, he or she will receive a notification. Most people will take a look at what you wrote and might leave a comment of their own. This will help you build your brand authority and maybe even land in some new circles. 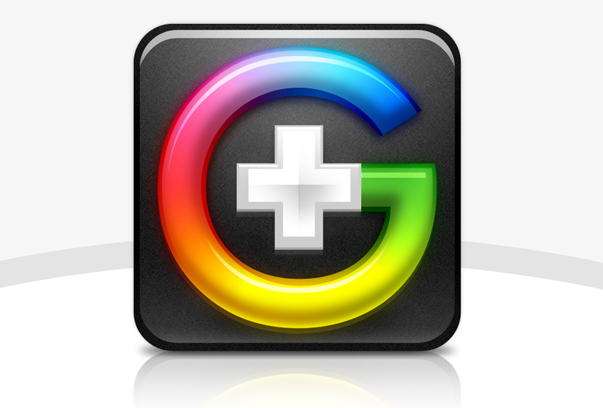 Google+ continues to be one of the most valuable social media platforms for business. When you use it correctly, you will expand your reach and grow your audience. This contributes to your image as an authority in your field, which is what we all really want from social media marketing. Are you invisible on Google+? What have you done to improve your visibility? Dawn Pigoni of Be Social Worldwide is a certified social marketing specialist and a social media virtual assistant. Dawn offers superb social networking, social marketing and social bookmarking to WAHMs, Small Business Owners, Internet Marketers, Affiliate Marketers, and Coaches who desire to bring stunning internet presence through social networking to their businesses. Get Dawn's free report, Social Networking today & see how she can assist you with being Social Worldwide!